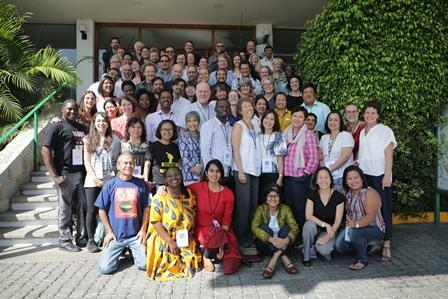 The Global Alliance for the Future of Food (GAFF) Resilient Seeds convening in Oaxaca, Mexico, which took place October 22 to 27, 2018, was an inspiring and engaging event. The gathering brought together individuals from all corners of the world, each one with a unique background and experience with seeds, but all eager to connect and interact as a single community. 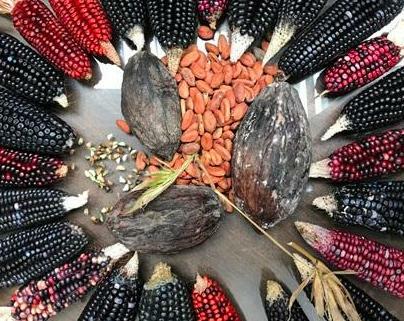 A pre-convening field trip through Mexico’s biocultural heritage provided a door for learning about indigenous seed systems and agroecology through sensory experience, on a journey that crafted memories of lasting impact. I felt that the 4-day convening was unique in context, content and format. Though the agenda included knowledgeable key note speakers, fascinating slide presentations and interactive Q&A sessions, what made it unique was the focus on creating experience: immersing participants in activities where sight, smell, taste, and sound of Maize and Milpa fostered creativity and inspired collaboration for action. For me, a key outcome of the convening was redefining resilient seed systems beyond the dichotomies of science versus traditional knowledge and coming up with unified strategies and policies that start in the farms and daily lives of indigenous peoples, first farmers, and smallholder farmers. I was happy to observe the members of the Global Alliance coming to understand not only the nutritional, economic, political and scientific values of seeds but also recognize their sacred and spiritual nature and role in our communities and a society as a whole. In many Native American communities, there’s a fear that any knowledge shared with scientists could end up in published reports-which could, in turn, lead to a familiar story of plundering. Click here to read the article in Pacific Standard. AFSA food systems keynote speaker, veteran food sovereignty campaigner Pat Mooney of ETC Group, explains in 4 minutes how and why Civil Society will win the battle against the corporations of the industrial food system. Watch video here. This case study examines the numerous impacts attendant to the Dakota Access Pipeline project to highlight the costs that companies, financial institutions and investors linked to the project faced, as well as costs borne by affected communities. This case study serves as a basis for the assertion that social risk resulting from the absence of adequate human rights protections can have quantifiable material impacts. Read the study here. AFSA’s new 5-minute animated video explains why agroecology is right for Africa, and shows agroecology’s contribution to the attainment of the Sustainable Development Goals (SDGs). Click here to watch. Just because they are branded as “informal” does not mean that they are nonexistent. Farmer Managed Seed Systems (FMSS) on the African continent are still vibrant, culturally appropriate, practical, customary and inclusive and they produce biodiverse and ecologically resilient seeds. They are context-specific and not a one-size-fits-all. Click here to read the report by Swift grantee partners, GRAIN and AFSA. Click here to read the report by Swift grantee partner, Global Alliance for the Future of Food.